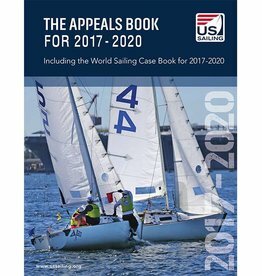 Understanding the Racing Rules of Sailing through 2020 written by Dave Perry with the complete text of World Sailing’s Racing Rules of Sailing for 2017-2020 and US Sailing Prescriptions. 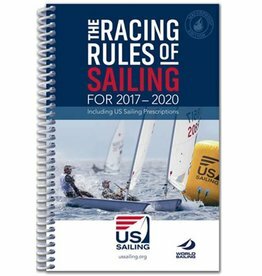 The Racing Rules of Sailing for 2017 – 2020 including US Sailing Prescriptions. Includes the International Code and Race Signal flags and US Sailing Protest Form. 185 pages. A waterproof edition is also available. A 5.75”x8.75” sticker that describes the signal flags and sounds found in the Race Signals section of the RRS. Handy for both racing sailors and race committees. Join the Race Committee Team! Helpful information to make racing simpler and more logical. Excellent resources for youth and beginner racers. Updated for the 2017-2020 rules by Dave Dellenbaugh; illustrations by Brad Dellenbaugh. 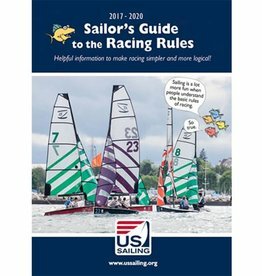 The Racing Rules of Sailing for 2017 – 2020 including US Sailing Prescriptions (waterproof version) Includes the International Code and Race Signal flags and US Sailing Protest Form. 185 pages. A paper edition is also available.